Copies of Peter Gabriel • New Blood • Live in London • Deluxe Edition have materialized at Real World and there’s been frantic activity, with all hands to the pumps, in an attempt to get the pre-orderd copies out to purchasers in time for the October 24th release date. It’s exciting to see so many images finding their way off the hard drive and into print - something of a record for me, with around 50 pages of photographs reproduced in the book. Marc Bessant put the book together with a cover image from micrographer Steve Gschmeissner, and a lovely silhouette of Peter by Armando Gallo. 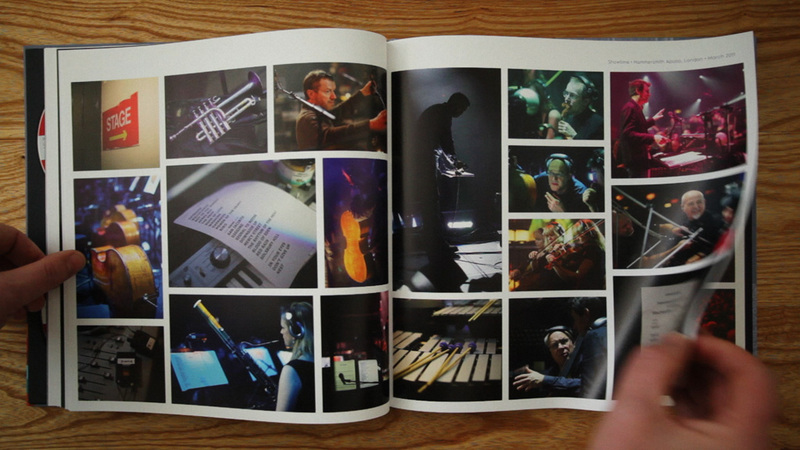 This Deluxe Book is a visual and musical document to that project. Opening with an introduction written by Peter, the beautifully presented book features over 200 photographs taken by Real World’s photographer, York Tillyer, with a contribution from Italian photographer, Armando Gallo. With access to all the recording and mixing sessions, the rehearsals, the shows and behind the scenes, York has created a unique collection of images, giving a fascinating insight into the New Blood project, from start to finish. It looks like it’s out of stock on the Real World store, but Sainsbury’s have it for an amazing £22.99 and Amazon also have stock.